Chef Angela Wadlington is perfecting the flavors behind your favorite Chick-fil-A menu items. As a member of Chick-fil-A’s Culinary team and a trained food scientist, Wadlington shapes the flavors behind Chick-fil-A’s menu. She is most interested in flavor profiles and how they all work together, “marrying classic, familiar flavors with something a little bolder and more exciting,” as consumers’ palates evolve. “It’s all about studying the ingredients – the chemical, the physical and the microbiological,” she says. Originally from Augusta, Georgia, Wadlington’s interest in cooking started at a young age during a baking class at her local recreation center and continued at home with her mom, who was an avid baker. “I always loved going through my mom’s cookbooks, finding recipes and making lists of ingredients,” she says. Her love of flavor continued as she learned the industry through jobs at a snack food company and grocery store, and eventually at an ingredient supply company after grad school. This phase opened her eyes to the “world of culinary pursuit,” and led her to explore different restaurants and cuisine types. Now, 14 years after she first joined Chick-fil-A, she has helped develop a roster of signature menu items: the Spicy Chicken Sandwich, Frosted Lemonade, milkshakes and the Cobb Salad, to name just a few. The inspiration behind her dishes is rather simple, and often originates while simply walking down the snack food or ice cream aisle, or checking out bakeries and trending flavors. From there, “I think about how I can deconstruct a flavor component and change it into a menu item,” she says. Take the Spicy Chicken Sandwich, for example. When Wadlington was tasked with developing a spicy menu item, she went right to work, conducting several tests. 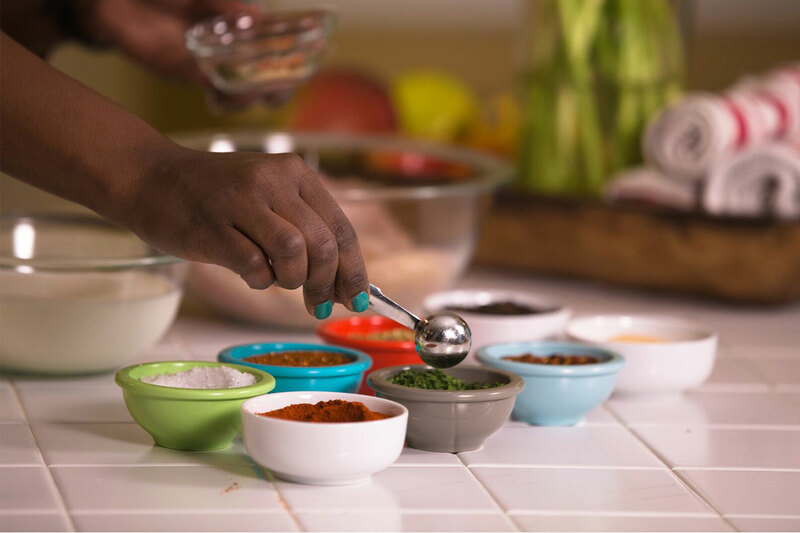 She tested for the right flavor profile using different herbs and spices, the right format (bowl, sandwich, quesadilla and beyond), and the right heat level for mass appeal – ultimately considering what could realistically be created consistently across restaurants, too. But for Wadlington, there’s always more at play than just flavor. 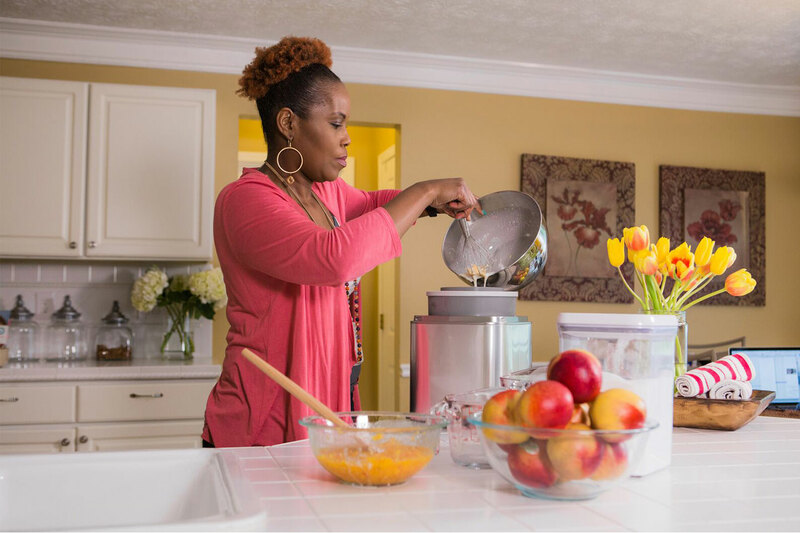 “Anytime I’m working on a menu item, it’s important to me that there’s some type of emotional connection,” says Wadlington, whose work on the Peach Milkshake was inspired by memories of her grandma and mom hand-churning peach ice cream during hot summer days.